Hi, I am interested in your 2019 Keystone Outback (stock #50718) listed on Autotrader for $28,995. I'd like to get more information about this vehicle and confirm its availability. Just imagine how fun, easy and convenient camping can be in this Outback Ultra Lite. 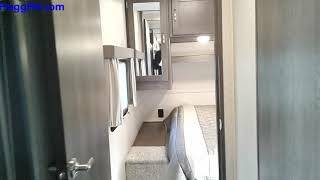 You will find the second entry door into the travel trailer allows you to enter the master quickly to use the bathroom, and the main entrance will have you sitting on one of the two chairs to rest after a long walk around the campground. The USB charging port will allow everyone to keep their electronics charged the whole trip, and the sofa sleeper plus booth dinette will provide sleeping space for the kids or overnight guests when needed. The cook will love all the kitchenappliances to make meals while away from home. Take a look, you will find more standard features you will want in your next RV. The Keystone Outback Ultra Lite begins on a powder coated NXG frame from BAL, and includes a leaf spring equalizing suspension system providing years of enjoyment. You will get to see the world from the large panoramic windows during any season thanks to the heated, enclosed underbelly including tanks and valves. You can even get the inCommand app to control the lights, awnings and such from your own cell phone. Its time to find your favorite layout, and start exploring in an Outback Ultra Lite today!